Running Press Adult, 9780762457786, 216pp. Make all the Preserves You Love Sweeter than Ever, For Healthier Canning at Home! Her trademark flavor combinations, seasonal awareness, and manageable small batches are here, too, for her longtime readers and a whole new audience, and are just as sweet. 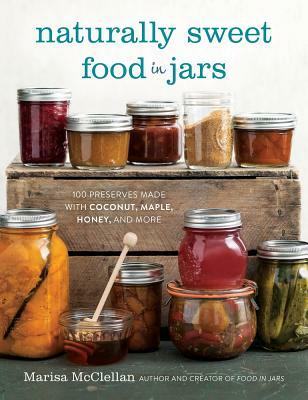 It's the perfect addition to your collection, and will bring your preserving up to speed with a health-conscious diet. Marisa McClellan is a writer, teacher, and blogger at FoodinJars.com. She has written for Fine Cooking, Parents Magazine, Vegetarian Times, USA Today, FoodNetwork.com, SeriousEats.com, Food52.com, TheKitchn.com, Saveur.com, Edible Philly, and more. She lives in Philadelphia with her husband. Find more of her jams, pickles, and preserves (all cooked up in her 80-square-foot kitchen) at foodinjars.com.